Jagruti's Cooking Odyssey: Ajwain Paratha - Flakey Indian Pan Fried Flat Bread with Carom Seeds - Potluck Party, Cyber Style ! Ajwain Paratha - Flakey Indian Pan Fried Flat Bread with Carom Seeds - Potluck Party, Cyber Style ! It's the 10th of the month today and I am very excited to take my dish to our virtual Potluck Party, Cyber Style for my lovely friends. I hope they all like it ! Ajwain Paratha in triangle shape, loved by my Dad and of course me too :) He makes them so perfectly. We absolutely adore ajwain paratha, made with Carom seeds-which gives a flavour similar to thyme. Place flour, salt, ajwain and oil in a big bowl and mix with your hand til you get crumbly mix. 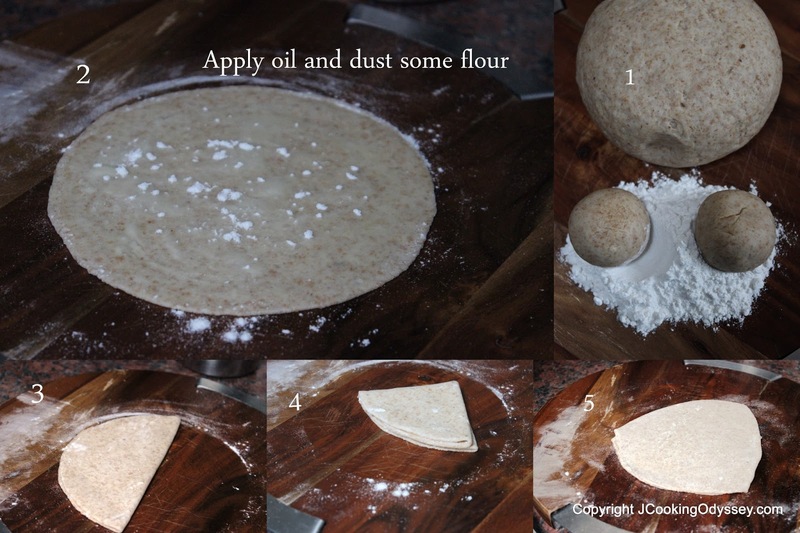 Fold the circle into semi circle and once again apply little oil and flour and fold it again. 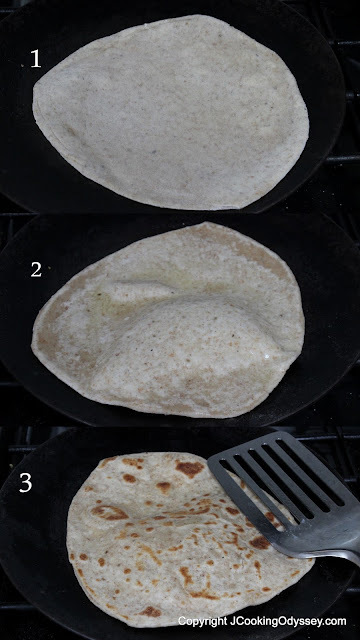 You will have small triangle paratha, roll into a bigger triangle without giving too much pressure, if needed dust some flour and roll paratha. Flip it over one more time and, using the spatula and apply oil, carefully press down all over. Turn over again and repeat on the other side until you have the desired crispiness. Enjoy with any curry , raita or Chutney. Note :- If you want to keep your paratha for longer period, add mild yogurt into the dough and add less water. Linking this to Potluck Party, Cyber Style . 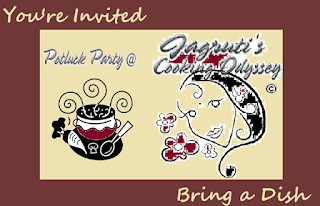 Celebrate - Love you Dad , series started by Jagruti's Cooking Odyssey guest host by Nabanita. And Made with Love Mondays by Javelin Warrior's . Ajwain paratha looks healthy and yummy. Lovely paratha.. looks yummy !! Love this flavourful paratha very much. interesting addition and healthy too.